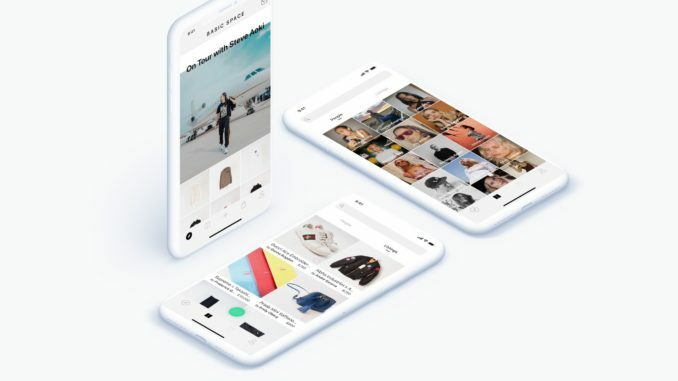 LOS ANGELES, March 11, 2019 /PRNewswire/ — Basic Space, a curated marketplace where the internet’s most influential creatives sell their own vintage fashion, pre-owned luxury, and new exclusive products, officially announced its iOS and web application launch today. Sellers — including the likes of Sophia Amoruso, Steve Aoki, Love Watts, Pia Arrobio, Emily Oberg, Purienne and Sami Miro — are selected on an invite-only basis, ensuring quality and authenticity of unique products. Combined, the first 100 verified sellers boast a global social reach of over 50 million. Thoughtful curation of the sellers and their product listings, ranging from vintage clothes and limited-edition sneakers to rare vinyl records and mid-century modern furniture, creates a unique experience that differs from other online retail and marketplaces. Basic Space was created as a platform to connect true influencers and industry experts with modern consumers who care about discovery, sustainability and something special. With the growing distrust of social media and lack of originality in digital content, the founding team understands that curation and authenticity matter more now than ever. Furthermore, Basic Space provides an important blend of editorial content with personalized collections derived from data analysis and artificial intelligence. Through in-house trend experts and proprietary algorithm, the platform is able to recommend the best products for each individual user. Social features, such as gifting, will be released over the rest of this year. To celebrate the launch, Basic Space has partnered with The Line Hotel (Austin, TX) for a week-long IRL experience during SXSW. A handful of exclusive products will be displayed on-site and available for purchase via Basic Space per the iOS app and web. Basic Space is currently available as an iOS app and on https://basic.space. Android app can be expected for late 2019.